Gone are the days for brands to heavily and entirely rely on traditional marketing tactics. Now, it is all about a 360 degree marketing mix – a marketing plan and strategy that allows brands to reach out to their customers via different, varied and multiple mediums. In fact, increasingly companies are willing to dabble into a definite and highly engaging method of conveying their core message to their audience: Experiential Marketing! Traditional marketing tactics, though extremely beneficial, provide a one-way interaction between the brand and the consumer. Usually, a defined message is frequently promoted through various channels in hope of sales. Experiential Marketing, on the other hand, creates a two-way communication with the customer. It is often highly tailored to a specific audience and dodges the “Spray and Pray” approach used by big businesses. Experiential Marketing provides tremendous opportunities for brands to market their products. While traditional marketing put customers in a constant “listening” mode, experiential marketing interests the emotions of the consumers. By building a sense of wonder, initiating participation and engaging consumers in an experience, brands go above and beyond the tactics of their competitors. Here are few reasons why Experiential Marketing events are growing at a fast pace! It’s hard for consumers to connect with a faceless corporation. Experiential marketing provides brands with a personality that consumers can create a genuine connection with. When customers see themselves in the marketing, they’re more likely to become loyal to the product or service. 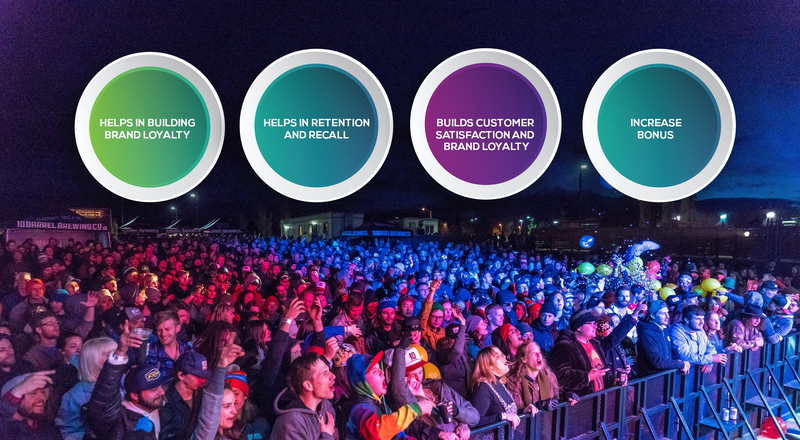 You can learn more about how experiential marketing can help build your audience and improve your brand perception from our blog. Rather than being lectured about the fundamental information, Experiential marketing creates a positive experience that increases purchase intent and customer satisfaction. Permitting consumers to try the product first is a vital factor in marketing that impacts the business. 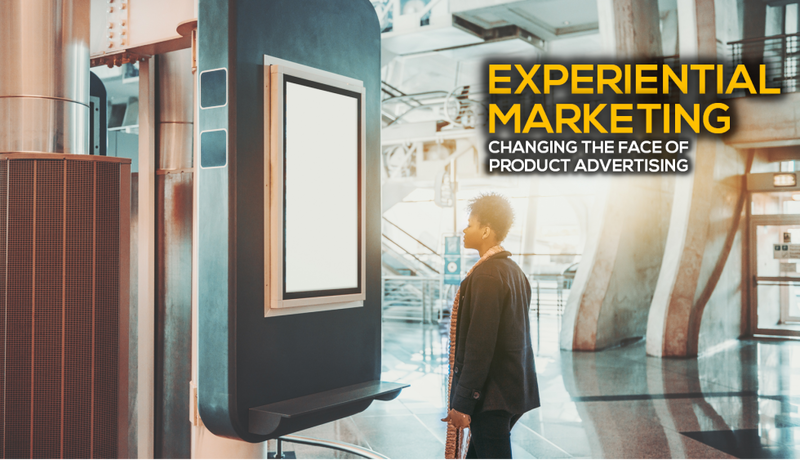 Experiential marketing creates an emotional connection through brand experiences and has proven to not only increase customer satisfaction but also turn a brand loyal consumer into a brand advocate. Learn about how to turn your attendees in to brand advocates by reading one of our previous blogs. With ace marketing tactics consumers emotionally get attached to a brand, feel a sense of ownership in it and thus spread the word within their family and friends. Experiential marketing is a lot of fun! It gives marketers and business owners a break from planning email funnels, TV spots, magazine ads, etc etc. Experiential events advertise at a more personal level compared to mass media campaigns. It stretches the creative muscles of the organisation and helps in a better understanding of the product and the targeted audience. One gains valuable insights from the attendees and learns better communication tactics for future programmes. Spending more time with stakeholders results in an improved ROI. Promoting through curated individual experiences rather than non-personal mass-media channels creates an unforgettable engagement that facilitates consumers’ direct involvement in the brand. At Shobiz, we have been creating experiential events for over three decades now. We help you come up with experiential marketing strategies with professionally trained brand ambassadors who know exactly how to create a remarkable experiential event. So connect with us and we will assist you in crafting a unique Experiential Marketing solutions for your brand.